As I was adjusting my credit card details through iTunes I spotted an option which will help parents who have children at BYOD iPad schools (like mine) to manage their child's spend. Set up an iTunes Allowance This little known feature allows one iTunes account (with a registered credit card) to credit another account each month. For example you as a parent could credit your child's account with an allowance each month, enabling them to purchase apps as requested by your school. The child account does not have to have a credit card associated with it and will receive credit each month until you stop the allowances. This might be very useful for the first few weeks of a new school term. Equally this could be a good way to manage an over enthusiastic app/digital music purchaser. Open itunes, click on the iTunes Store in the left hand column and then sign in with your "Parent" apple ID. Now that you're signed in, click on your apple ID (email address) in the top left and select Account. In the Settings section click "Set up Allowance"
The only issue at present is the minimum monthly allowance only goes as low as $20. However I have contacted the Apple iTunes Team and hopefully this will be reduced to as little as $5. The Digital Education Revolution comes to an end. Where now? The final round of government funding is currently being distributed to schools all around Australia. So far over 967,000 computers have been bought, infrastructure built and (most) teachers up-skilled to benefit from the acquisition. But as the funds come to an end, many school principals are wondering if the process has been beneficial, and how can they continue to support and progress the Digital Education Revolution? Way back in 2008 the Labor Government initiated the National Secondary Schools Computer Fund (NSSCF). Over 2.4 billion dollars has been spent, year groups 9-12 were targeted and the focus, according to the 2007 Election Policy document "is aimed at ensuring one million Australian upper secondary students get an education with the latest technology, to prepare them for the jobs of the future". My concern is that the focus was misdirected from the beginning. All efforts were seemingly made to provide each student with their own laptop, simply to prepare them for a technology based workforce or "jobs of the future". Teaching and learning somehow got lost in the planning to spend, the focus of preparing students for future jobs took precedent over preparing students to excel in literacy and numeracy. It is easy to see how many have seen this whole process as nothing more than political spin. The figures are very impressive, and it is easy for Labor to claim the project a success. After all, they have met their targets. The Computer Fund has achieved a one computer per student (1:1 ratio) for students in Years 9 to 12. But measuring the true success of this "revolution" in terms of learning outcomes, is nigh on impossible. Most schools are left with more questions then answers. Are we utilising the computers properly? Can we keep maintaining fast internet access and wireless coverage? Did we choose the right computers? And the most important question: can we afford to continue the 1 to 1 laptop program? I manage an IT department in a part of Perth which has a low socio-economic background. Our parents are by no means wealthy and the school has welcomed the DER money with open arms. My predecessor made some excellent decisions and focused on upgrading our wireless network. We executed the integration of laptops so well that the school gained a reputation as being a digital "light house" school. Just a few weeks ago Julia Gillard herself visited to marvel at the presence of so much technology and so many happy students. But beneath the facade their was much more happening. A culture change was taking place which was trickling down from the management team and senior staff. We no longer wish to be known as a technology driven school. We wish to see our students excel in their chosen field. We want to provide students with diverse opportunities and see them become independent thinkers. This is what I believe will prepare them for "jobs of the future", not knowing how to use Powerpoint or organise their Home folders. This sentiment appears to be echoed by Labor's National Plan for School Improvement. An initiative aimed squarely at raising achievement in reading, maths and science. With this is mind we must, like many other schools, decide how to proceed without the thousands of dollars from the government. Technology must be kept current, to simply use the existing computers that we have for another 4 years is not practical. To take on the expense ourselves as a school is simply not viable. Bring Your Own? BYOD and BYOT are acronyms which have been discussed a lot recently. The reason for this is because schools are asking students to "Bring Your Own Device", or even "Bring Your Own Technology". The key difference is that the student can choose for themselves which computer to use with the latter. Where as a BYOD approach is one where a school requests a particular computer which the student must supply. Each model has its own pros and cons, but what I find most interesting is the general acceptance by parents that now it is acceptable to place a $500 item on the school booklist. The government led DER may take a lot of criticism, but it has had an enormous positive impact on education. I consider it to be a success, and it came at a very important transitional stage for personal computing. Even the most critical parent has the foresight to see that teaching is going through tremendous positive change as a direct result of personalised learning devices. The home for many harbours plenty of high-end digital tools, mainly used for entertainment. And technology has been so ingrained into our lives that for a student to already own a tablet or be handed down a laptop computer from a parent is not unusual. So what has been started by the government can be easily continued by the parent. Bring your own technology really does seem like a perfect solution. However questions must be addressed surrounding equity for all students. Although, this is no different to any other school apparatus not available for disadvantaged students and can be remedied. I also have grave concerns surrounding the teaching practice in the classroom. Many teachers struggle capitalising on a single device let alone multiple technologies being used in the classroom. However these hurdles can easily be overcome with effective leadership and support, and good PD for staff. Tasks in the classroom need to be less technology driven, and more outcomes based. For example digital story telling can come in many forms. The creative use of video, stop animation with still pictures, even podcasting can be achieved on all modern computers and tablets. How the student creates these assignments is for them to discover and put into practice. What the content holds should be of interest to the teacher, not the technology or process used to make it. These are examples of developing young minds into critical thinkers who can problem solve and discover new applications for themselves. Letting Go A big trend and strategy which I apply at my school is maximising on free services such as cloud storage, email and calendar solutions. In turn you are pushing responsibility of data back to your users (students and staff) and spending less money maintaining any server rooms which you have. In order to do this though it is paramount that the school provide the most stable and efficient network possible, while increasing bandwidth to the internet. The NBN has been a long time coming, and upgrading your school to the fastest fibre connection available may be the best IT decision you make this year. This additional bandwidth will allow you to migrate more services out of your server room, but also provide fast access to learning resources, and enable real time collaboration. As we begin to rely on services from providers such as Google, Apple, Dropbox, Evernote etc, we must also be prepared to let go of the device requirement which we impose. We must consider allowing students to bring which ever computing device they choose to school. The family home likely already has ample digital tools, and it is cost effective to support this. As the DER funding dries up we have little choice but to allow parents to manage their own child's technology. Where the school must pay particular attention to is the internet gateway it provides, including the content available to students. It is imperative that while devices are in your school network, you know who they are and monitor activity as much as possible. But think for a moment that you will provide a constantly safe environment for students, and you will be proven wrong very quickly. "Even in class, many kids can use their 3G or similar service. Addressing sociological problems such as cyber safety with a technological solution is doomed to failure." This is why a Digital Fair Use Policy is of equal if not greater importance than a content filtering web proxy, which simply builds walls made from tissue paper. Developing a Digital Fair Use Policy for your home and school. Creating a Digital Fair Use Policy for your school which preserves authentic teaching while utilising the full potential of modern technology is a precarious task which carries large implications. Many schools throughout W.A. are finding themselves in a position where students are armed with modern devices which empower students so much, that some teachers are feeling an overwhelming sense of despair. Parents find themselves navigating a type of teenage angst never known before. An awkward adolescents, made worse by an affiliation with new fangled technology resulting in a type of popularity contest conducted in an online world...a stage where one is judged by friends and peers. It is this unknown space occupied by precarious social tools like Snapchat, Twitter and Facebook which have the potential to leave our students seriously exposed. As a school we go to great lengths to protect student records and personal details, in a blink of an eye of all this can come undone by a misguided student. Schools are encouraged to utilise technology in a way that can transform education, and in every case there is overwhelming evidence that this is happening. But the task of effective Professional Development for both teacher and parent is often skimmed over, and â€œshutting the barn door after the horse has boltedâ€ is a term which springs to mind a little too often. It is easy to liken a tablet device to a Pandoras Box, holding both incredible curiosity, but also potential for catastrophic mischief. The Greek myth goes on to describe; at the bottom of Pandoraâ€™s box lies the Spirit of Hope called Elpis. This comparison does bear considerable verity. And as school management purchase new digital tools, they must prepare for undesirable outcomes. But the hope at the bottom of the box is there in plain sight; it lies in the preparation and upskilling of staff and parents. Some solutions are in the form of â€œGuided Accessâ€ and â€œRestrictionsâ€ which in the iPads case, are never more than 2 clicks away. Students need stringent guidelines and boundaries. And my experience shows that most respond very well to the instruction they are given, some value the trust distilled into them and proceed to utilise an education full of diverse opportunities. One implication of a digitally driven school (and a big concern of mine) is the sheer amount of time consumed by personal devices. Especially as computers reduce in size and connectivity options expand. I visited my hometown of London in December. I did some travel by train and was impressed to see â€œQuiet Carriageâ€ sections marked clearly with signs and enforced by both ticket inspectors and fellow passengers. These Quiet Carriages clearly indicate that mobile phones, music players and other electronic devices are not to be used. In a similar way both libraries and museums practice similar restrictions. What I find interesting is not the enforcement of such rules but what the rules imply. As I travelled through the carriages of this train into a non quiet carriage I was met with row upon row of passengers with headphones glued to their ears and others deep in conversation on their phones. Some were watching movies and others browsing the internet. It occurred to me that the default for our generation is to be constantly connected. Connected to the web, to media and to each other. We actually need to be instructed when to switch off! This idea of constant connectivity is reinforced by research completed by an American company, the Kaiser Family Foundation. The KFF have been studying media use in the lives of eight- to 18-year-old Americans for 10 years. Over that time, three reports have been published. â€œMedia useâ€ was described as a combination of television, video games, listening to music, reading printed text and using a computer. The results showed an increase of the â€œAverage amount of time spent with media in a typical dayâ€ from 7 hours 29 minutes in 1999 to 10 hours 45 minutes in 2009. Just to re-cap, young people in 2009 were accessing digital media for over 10 hours per day. This does include multi-tasking (ie watching television while browsing Facebook), but it really does ring alarm bells for me as I develop a new Digital Fair Use Policy for my school. The report (available at www.KFF.org) goes on to state: â€œYouth who spend more time with media report lower grades and lower levels of personal contentmentâ€. The implications of this saturation of young peoples lives is not yet known. But I am concerned that if we are to develop our students into authentic and critical thinkers, such intense immersion in a Google queried world may not be the right direction to head in. In order to create something original, without the fear of influence or criticism, we may need to ask our students to â€œdisconnectâ€. It is important that the Quiet Carriage becomes the norm once again, especially in schools. Only when needed, or when instructed by the teacher/parent, should students be expected to reach for their devices. A school, near to me here in Perth, has a very interesting saying: "We open our minds, not our laptops"
The school is held in very high regard. At the school, success is defined clearly with consistent grades and diverse opportunities for its students. The school makes its stance on technology clear: the thought of a 1:1 computer environment is both economically and pedagogically the wrong decision. For three years, I have been intrigued by this stance and further investigation has revealed that the school may have the right idea. I have a confession to make, I lost my iPhone... and it was OK! (in-fact it was actually a relief) In December I visited my mother in London. As usual I swapped my Australian SIM card for my UK SIM and my iPhone functioned as normal. Two days into my visit and my iPhone had been stolen. Access to three email accounts, my Facebook and Twitter account, 12 gigs of extremely important files stored in Dropbox. All of my notes, voice memos and photographs floating around somewhere in the hands of a thief. I had to resign myself to changing all my passwords and locking down my digital life. I purchased a Nokia phone for Â£9.99. It had a torch on it andâ€¦ it made phone calls. Things changed immediately for me. No longer did I find myself almost constantly distracted, incessantly opening a series of apps which delivered needless news and updates. Capturing, editing and sharing photographs, although fun, does need to be done in moderation. Accessing feeds about technology news and education opinion, although important does need to be done in moderation. For the first Christmas in years, I was actually present and existing. Apart from playing with my Nokia torch, my family had my full and undivided attention. The iPhone, iPad and Microsoft Surface are mobile interfaces which provide a constant connection to your personal digital world. Schools are rife with them and I am certain that Christmas morning of 2012 brought thousands of gifts containing these devices. Ecstatic children and students throughout the world now ready to plug into and nurture their digital existence. Iâ€™m certain that most parents were actually pleased at the silence which adorned their Christmas afternoons. However all is not what it seems, the sacrifice for quiet time does come at a cost. The Kaiser Family Foundation has been studying media use in the lives of eight- to 18-year-old Americans for 10 years. Over that time, three reports have been published. â€œMedia useâ€ was described as a combination of television, video games, listening to music, reading printed text and using a computer. Total media exposure in a typical day in 1999 worked out to 6 hours and 19 minutes (the majority spent with TV content). In 2009 this had increased to 10 hours and 45 minutes (of which just 38 minutes was spent reading printed text). Between 2004 and 2009 the proportion of eight- to 18-year-olds who own their own cell phone has increased from 39% to 66%. iPods and MP3 players has jumped from 18% to 76%. It is these devices, providing a portable, personal supply of music, video, gaming and social media services that are responsible for the huge increase in media consumption. What does this mean for school grades? The report (available at KFF.org) states: â€œYouth who spend more time with media report lower grades and lower levels of personal contentmentâ€. These findings are without a doubt the most alarming. Only 51% of heavy media users (those that consume more than 16 hours in a typical day) achieve good grades of As and Bs, compared to 66% of students who are light media users. It seems unusual that anybody could spend more than 16 hours in a typical day plugged into a media device, withdrawn from the present moment. These high levels of media consumption can of course, only be achieved through multitasking i.e. listening to music while surfing the internet, or using an iPad while watching television. The actual time spent directly interacting with a device is still an immoderate 7.5 hours a day. A personal frustration of mine is seeing a student off topic due to multitasking when in class. Or worse still, itâ€™s quite commonplace to see teachers checking email, Facebook, house hunting or the like when monitoring a class!Â When applying oneself, multitasking should be discouraged. It is merely a way that the brain shifts its attention from one task to the next. Providing nothing more than a shallow immersion into either task A or task B. It is a technique which has become mandatory in today's media rich world, but it can be detrimental if the student cannot consciously fully apply him- or herself.Â For example when you are filming or photographing an occasion like a wedding or birthday, the photographer finds himself so preoccupied with the camera settings, the sunlight and framing etc, itâ€™s as if he is not there at all.Â Despite being present, viewing the event entirely through a lens results in the brain not engaging with the subject matter at all. It is only when the images are re-viewed that the topic is fully appreciated. Multitasking is an unfortunate consequence of providing an online device for education. I do not feel that the human brain is capable of fully comprehending a topic or writing an honest and accurate essay while monitoring social networks. Even just being aware that at any moment a chime might ring indicating a new email or instant message is enough to drive the mind absent. Technology use in education has in the past been compared to being in an aircraft. Weâ€™re told to â€œswitch off personal electronic items. Shut down computers and all personal electronic itemsâ€.Â These instructions are negatively likened to some school mobile phone policies. Empowering students to turn their cell phones into learning devices is now absolutely critical, and we are encouraged to remain connected. But I would argue that perhaps the most valuable switch on your iPad is in fact the Airplane mode! This switch, located in the settings menu will deactivate the cellular, wi-fi, and Bluetooth connections. Donâ€™t be afraid to ask your students at the beginning of a class to turn Airplane mode on. Donâ€™t think itâ€™s unreasonable to insist that the wi-fi on all laptops be turned off as well, providing a state of dis-connection. The evidence drawn from the Kaiser Family Foundation report clearly identifies that young peopleâ€™s time has become saturated with digital media use. Time away from media is no longer the default.Â â€œThis carriage is designated a Quiet Zoneâ€ is common on trains in the UK. Museums and libraries remind us that these places are places for thinking. Unadulterated thought, without even the notion that it will be disturbed.Â To be able to process the world around us, to draw our own conclusions and achieve levels of higher order thinking we need to recognise two fundamental states: Our connected time and our disconnected time. The disconnected time is where one can think, and if need be write, without distraction. But most importantly write without influence or fear; to speak one's own thoughts.Â If we do not learn when to say no, when to close the email client, when to switch off Facebook, we will find that all of our time will be spent doing as the computer asks, and not as we ask of it. Over the last few years I have witnessed a real shift in the education landscape. It seems clear that technology use is feverish in every aspect of our lives so it makes sense that it should be at the forefront of teaching and learning... right?Â A calculated risk by teaching staff and a well balanced approach to support curriculum outcomes will enable a diverse and creative environment with the right use of technology. But as educators, we have a responsibility to ensure that computers, their potential and their implications are understood and managed. Handheld devices like iPads have become a mainstay of young peoplesâ€™ lives and unbeknown to many parents they can become a Pandora's Box of mischief. This approach to moderated media use, and knowing when to switch off the online audience or influence from search engines is no doubt a priority, but the drive must come from the home and be fully directed by parents. It seems teachers can only lead by example at school and hope that home-life follows suit. I talk with a lot of schools who are planning an iPad/Macbook roll out. As they prepare computers for the students and staff, it is soon realised that the device, seems to come out of the box without a fully functioning word processor. In true, and traditional manner a search for the best word processor begins, but quite often schools make a wrong and costly decision. Most re-sellers will respond by suggesting you purchase a Microsoft Office license. â€œYouâ€™re gonna need Microsoft Office, the package which contains Outlookâ€. Seems obvious to me, but a school license for staff can easily run into the thousands of dollars. Surely in the era of change and transformation, we can do without spreadsheets and Word files? It is equally disappointing that OS X arrives with no Pages, Keynote or Numbers. And at $21.00 each it is a costly exercise to get the iWork suite onto your Mac. So lets have a look at what is available... for free. Text Edit is an awesome app You can write all day long, create bullets and lists, text alignment is easy and you can even change font. I ask you this; when the content is key, why do you need anything else? You can embed images as well. And yes, you can open Microsoft Word files. Albeit the tables may appear out of kilter, and the text wrapping and formatting may look different. But lets not get too precious over the layout and design just yet. Youâ€™ll also have a great little program called Notes. Notes is not quite as flexible as Text Edit but when you need the convenience of easy iCloud sync, Notes does the job. Word processing, not page layout Although not free, a personal favourite app of mine is iA Writer for the iPad. The reason being; a feature called Focusmode which blacks out the surrounding paragraphs and lines, allowing me to focus completely on the sentence at hand. For easily distracted students (and bloggers) this feature has allowed me to press forward with word processing with the option to edit later. This kind of writing is commonly encouraged by English teachers, and with the advantage of iCloud sync, I can finish my writing on the Mac. Both iOS and iPad apps are very cheap. Even more, with Google The real game changer (especially for education) is Google Drive. Perhaps the main purpose of this article is to encourage you to investigate this storage come collaborative space. Producing words in an internet browser window is not exactly a revelation. After all, we have been typing and formatting emails for decades. Indeed Google Docs has been around for a few years too. But with a little repackaging Google Drive delivers a clutter free environment, with just enough options to convey our thoughts in a clear and concise manner. The "Drive" component provides a generous 5gig of cloud storage to use as we choose. But viewing your documents on the web reveals a red "Create" button. Click here to word process with Gdocs (aka Google Docs). There are no options for borders, or decorative strokes. You will not see any distracting templates either. The content is king, and for most teachers, it is the words which must combine for creative merit. Need the option to collaborate with your students? Get feedback from your editor or brainstorm with your peers? Well emailing documents back and forth is so last century! and wikis are just becoming a little too disjointed. Take a look at the blue share button and watch in real time as multiple people type on the screen. Contrary to popular belief, it is simple to setup offline access to your docs, but you will need to use the Chrome web browser. Are you a Math Teacher? Google Drive is being utilised by many third party app developers. If you need to graph for example I canâ€™t recommend enough that you use Desmos.com. If you are a math teacher go and visit desmos.com now, it also feels great on the iPad. Accessibility thoughts On a Mac, in your System Preferences it is simple to enable text to speech. Be sure to tick â€œSpeak selected text when key is pressedâ€. The default key combination is option and escape. Fortunately any highlighted text in Safari, Chrome, Pages, or Word is read aloud by the computer. But a negative for Chrome is that it utilises its own dictionary, so if you have changed your Mac Language to â€œBritishâ€ English youâ€™ll find organize is spelt correctly, overridden by Chrome! Chrome also disables the Macâ€™s amazing Thesaurus which is accessed with a 3 finger trackpad tap or control - command and D. So as much as I love Chrome, you may be better off sticking with Safari. Conclusion It is clear to me that Office and iWork may be seeing the beginning of their end. The other day I picked up an old manual for Word. It must have weighed about 2 kilos! What a strange thought that people might have to study so hard just to learn how to â€˜word processâ€™. We now live in an age where we are not compromising ourselves to accommodate uninspiring technologies, but technology is adapting to us, as humans. In particular for education, we must evaluate tools and look at what unnecessary components can be discarded. I firmly believe that Microsoft Office and iWork should stay right where their names suggest. For the start of this term I was fortunate enough to be asked to speak over 2 days at St Stephen's school in Perth, W.A. St Stephen's have a remarkable ICT team which provide vision and support for the teachers and students. This year their focus was to assist teachers to reach their full potential when using technology in the classroom. By aligning themselves with the SAMR model the aim of the PD day was to encourage staff to transform their teaching practices. I prepared a talk which covered 4 main areas. The perceived risk associated with integrating technology into the classroom. A look at how the music industry was revolutionised by the digital age. Can we use some of the same ingredients for education? It was a very rewarding experience. I was particularly impressed with the enthusiasm of the staff, and their welcoming spirit. After the talk I worked with 4 groups of teachers, and we uncovered the benefits of cloud computing, iPhoto, and iPad tips and tricks. I also read an amazing book by Tom Chatfield called "How to Thrive in the Digital Age" which provided much food for thought. Thank you to Stephen, Ian and Sarah Pemberton (A new ADE! Congratulations!!). In 1983 Steve jobs stated:"What we want to do is we want to put an incredibly great computer in a book that you can carry around with you". Stylus makers have provided many attempts at building fine tipped, natural feeling pens to enable users to hand-write notes, draw, and communicate clearly with colleagues and friends. But in almost everycase one is left feeling like they are holding a giant crayon and things always go awry if you place your palm on the sensitive screen itself. Lets face it, writing on digital tablets is about as elegant as chiseling on stone tablets. It's one of those problems which we have just ignored, hoping that the whole importance of developing good handwriting, punctuation and spelling will just go away. In July 2010 Livescribe launched an amazing product called the Echo Smartpen. It was a real game changer. The pen created a niche for itself amongst professionals and students. If used in its simplest form it worked great, but once the collected notes became digital the playback and sharing steps all seemed a little disjointed. Sky wifi smartpen Tomorrow will see the launch of the Sky wifi Smartpen from Livescribe. I was fortunate enough to talk with one of the Livescribe founders Sasha Pesic about what to expect and the directions for Livescribe in the coming 12 months. "We needed to make the pen more relevant". Sasha continued to expand a little about the market research Livescribe had conducted. It revealed that 54% of tablet users (of 600 surveyed) still preferred to capture handwritten notes. Over a quarter purchased a stylus but only 13% of those were "very satisfied". Clearly a market exists to enable users to continue to use pen and paper but have the simplicity of viewing and sharing recorded notes to a tablet device. Introduce wifi and one of the biggest names in cloud computing; Evernote, and you have a glimpse into the classrooms of tomorrow. The pen itself is of identical form to the Echo Smartpen but with the ability to connect to a wireless network. This connectivity allows the pen to communicate directly with your Evernote account. Previously you had to connect the pen via USB and use the Livescribe Desktop application. This process has now been completely removed. Once set-up all of your notes magically appear inside your Evernote account. With the amazing reach that Evernote already has and the support across so many different web browsers and devices this partnership makes perfect sense. Evernote is a free service but is restricted to 60mb per month upload data. Keen to support the potential of the Sky wifi smartpen Evernote have increased this limit to a whopping 500mb per month just for Livescibe users. That's equivalent to 10,000 pages of notes or up to 70 hours of recorded audio! Once inside Evernote you can add tags to your pages which will enable you to quickly search your notes, but if you're anything like me it seems quite unlikely that you will manually add these tags. So can I have my handwritten notes transcribed into electronic text? Not yet, but Livescribe are working with Vision Objects to develop a new handwriting-to-text solution. Pencasts The Pencast is the result of your note-taking session, and can be reviewed in a linear or non-linear fashion via a web browser (utilising the Livescribe player). The pencasts are now beautifully rendered in full HTML5 and my tests showed excellent responsiveness and fast loading times. The only current restriction is the need for an internet connection. However in Q1 of 2013 expect full PDF support meaning you can locally save your pencasts and share them as trusty old PDF documents. I look forward to a time when to "pencast" is as commonplace as creating a podcast. The impact of livescribe and classrooms. These simple enhancements show huge potential for the pen, but what really got my interest was our discussion surrounding the native app development for iOS and Android. Although very speculative Sasha gave an insight into the mobile SDK which allows for direct pairing to a tablet device. This could mean teachers viewing handwritten notes of anyone of her students at any given time. Interactive whiteboards could finally be laid to rest as teachers project there realtime notes to the whiteboard. Livescribe are working on their own app but the potential from third party developers will also be huge. I'm hoping to get my hands on the Sky wifi smartpen in the next few days and I will publish a full review. The Pens come in 3 flavours: 2, 4, and 8Gig and start at $229. It seems Apple are making things a lot easier if you are trying to integrate Apple TV into your secure "Enterprise" style school network. A very common authentication standard used for most school wireless networks is called 802.1X. Placing a device like an Apple TV (where you cannot specify credentials such as 802.1X) has, until now been very hard. Added to that your school likely runs all internet traffic through a proxy. Now you can add the proxy details to your Apple TV too. The latest Apple TV software update (5.1) now allows the option of creating a Configuration Profile. This profile needs to be made inside the Apple Configurator and then installed onto the Apple Tv with a micro USB cable. Now it should be a reality that you can use Airplay on your school network, hooray! Adding a Microsoft Exchange Account Recently the Western Australian Department of Education transferred their email technology to new services. Your email address will have changed to *firstname.lastname*@education.wa.edu.au to reflect this. This brings a whole host of improvements but notably: all teachers will easily be able to access and manage their email accounts through their iPhone and iPads. Simply enter your email address (*firstname.lastname*@education.wa.edu.au) and password, you can put anything you like in the description box. I would recommend turning on your Exchange calendar service. This is a great way to keep organised and synchronised. Make sure that you have entered your password correctly and you should be good to go. Now head over to the Mail app to preview your email and the Calendar app to see your appointments. Please be sure that you take appropriate measures to protect your account with a pass code lock on the device. This guide is offered independently and has no association with the Department of Education. I cannot provide further technical support. Good Luck! It has been brought to my attention that Apple will soon be accepting applications for the Apple Distinguished Educators Class of 2013. I get asked a lot about the ADE programme, and when it will be accepting new members; so i'm sure this will generate a lot of interest. I believe we are in a transitional stage with technology; A place where adoption is hindering general productivity. We know when we have achieved successful technology integration: it is when we use technology without even thinking about it. When you make a telephone call with your mobile phone, rarely do you think about the process of unlocking, filing through names and tapping the green "call" button. You likely never wonder at the marvel of taking a photograph and sharing it with a friend. These processes are ingrained and simple. The devices we use are all around us, they are ubiquitous and the outcomes obtainable. Technology's presence in education should be no different. I despair at the complexity of some tasks which should be ingrained into us. Creating voice memos, editing pictures, creating video, sharing and collaborating with your colleagues on a global scale. Tasks like these can assist the teaching and learning process, these workflows can aid in the retention of information. Ultimately these tasks will be expected of students as they enter university and the workforce. Borrowed from an expert called Dr Rueben Puentedura the term "Transformation" as a result of technology adoption, is a stage you want to aim for in your journey. Dr Rueben Puentedura hit on a model which you should be familiar with. The SAMR model is a system which you can use to measure your application of technology, or it's level of use. The first level is the lowest level of use: Substitution. Technology acts as a direct tool substitute with no functional changes. A common example is a type-writer being exchanged for a word-processor (albeit with a screen) and being used in exactly the same way. No cut and paste, no spell check, just direct substitution. At this level you are using the same tool with some functional improvement. Improvements may include the spell check or instant dictionary definition, cut/paste and placement of images etc. Already at this secondary stage we are seeing a much higher level of productivity from the individual. This level actually slightly alters (but doesn't change) the task at hand. For example, beforehand your type-writer was being used to produce a text report. But now we have additional technology tools available, we could create the report in a spreadsheet. This would allow you to automatically calculate sums and create graphs for immediate visualisation of the information. We may choose to email the spreadsheet to colleagues instead of print it. Our report (previously a fixed paper document) has now seen significant task redesign. This results in substantial productivity increase. The fourth level is known as: Redefinition. At this level, we look beyond ways of just modifying the process **which still has the fundamental task at its heart**. Is this the best way to perform the task? The Redefinition level will use available technology to completely redesign tasks. We are no longer producing a simple report. Information that would original have been compiled by an individual could now involve many contributors; collaborating in real time on the same document. An example might be to use a public document on Google Docs allowing for instant global collaboration on the project. The project could include photographs, graphics, even video, added from many different devices. Spreadsheet calculations will cascade through a document and be available for all decision makers in a moment. Immediately the task has seen the removal of multiple steps, and many more users are viewing and editing the document, increasing communication, accuracy, and productivity. Applying this model into education is having astounding results. It is a fairly simple idea but one which has really helped me to evaluate where I am at, and what I could be achieving. But it can also be used to gauge your schools level of technology use, and to measure the success of your investment. All too often I hear, "But this is the way that we have always done it!". And that is the statement that you may come across as you move from modification to redefinition and try to change the actual task at hand. But I would encourage your teachers to let go and put faith into new technologies and software. The Redefinition stage, in many instances can be the easiest to apply but the hardest to instigate. Dr Puentedura introduced a simple method to introduce the SAMR model to staff in the form of a short PD opportunity where a teacher can discover and begin to understand the model better. Dr Puentedura displayed this brilliant slide introducing the SAMR Ladder, and offered the following advice. Ask your teaching colleagues to create a SAMR Ladder so that they can visualise/plan their progress. Once your colleagues identify a task which they are performing at the substitution level, it helps them to recognise ways that they can enhance that task. It is sometimes appropriate to maintain teachers at the substitution/augmentation stage for a long time, these enhancement levels are good. But you must treat these levels as transitional levels. It is not ideal to stay at the enhancement levels, as technology evolves we must evolve too. At the modification level ask your colleagues, "What is it that you have always wanted to accomplish in terms of educational goals that you couldn't accomplish before?". This is a big question, and one which you may need to offer some guidance on. By keeping the core of the task the same but applying clear changes to certain aspects involving modern technology, (software or specific apps for example) can we accomplish those goals that the teacher would like to reach? Finally, Is there a way that we could accomplish those original goals but with a different task? By actively replacing your original task with a new more efficient one, you will find that the underlying concept of the task itself becomes apparent. The student can explore concepts a lot deeper then previously. I would add that task redefinition can also remove constraints that may have existed before but where not addressed. At redefinition the task and its outcomes are clearer, the technology becomes invisible and the learning at hand takes priority. My example earlier in this article: making a telephone call on a mobile phone demonstrates how a task can be transformed, simplified and made accessible for all. The irony in the mobile phone call example is: the symbol which represents our phone call is still an old analogue handset. We may be even making a video call, but we still press the "handset" icon. I guess old habits die hard. I encourage you to visit Dr Rueben Puentedura's blog at www.hippasus.com to discover more. Just a few weeks ago I was fortunate enough to listen to Dr Sarah Howard speak at an Adobe education conference. Dr Sarah Howard is a lecturer in ICT and Education at the University of Wollongong and has been evaluating the Digital Education Revolution in secondary schools across NSW. One of the things which Dr Sarah Howard has discovered in her research (focused on intern teachers in New South Wales) is that most teachers still have very low levels of digital literacy. Her data has indicated that the assumption sometimes made: that young teachers are Digital Natives, is not correct. Technology is used a lot but only in low level uses (ie Facebook, and Google search). If asked to perform a "complex" task such as creating a presentation or editing a photograph most teachers would come unstuck. Dr Sarah Howard concluded that in teacher education not enough is done to raise these essential skills. Teachers are simply not exposed to these sorts of tasks, these digital literacies are not brought into the concept of teaching enough, if at all. The teacher identity itself needs to be re-addressed, it is not enough to simply say "I'm not a techie person, this is not part of my job role". We have a duty to prepare students for a future where technology use is a given, and we need to empower teachers correctly. But we can be clever about this. Put the pedagogy first and carefully consider the goals of the teacher. Provide a solution which enhances the learning outcomes and doesn't obstruct or distract. It is because of this that your Technology Integration Specialist should perhaps be considered more of a Curriculum Integrator (enhanced by technology). Many tools come together to assist the modern teacher in the classroom. Some of theses tools are selected by the teacher themselves, but most are provided by the school or suggested by curriculum decision makers. Tools may consist of a laptop, calculator (Casio Classpad in our case) or digital camera. It is also common to see an interactive whiteboard in place and a school wireless network. Services may include a networked hard drive and collaboration space (intranet, LMS or wiki). Lots of cables, attachments and converters are available and training to apply these technologies is often expected to be completed in your own time or provided in-house, by the school. Thankfully a common trend is emerging. One where teachers are taking matters into their own hands and bringing their own "gear" into the classroom. This equipment is quite often fairly cutting edge and is sometimes provided at the additional cost to the teacher or student. However in order to realise the forward thinking lesson ideas and modern tasks, theses additional tools are essential. Currently:Â calculator, dictaphone, stopwatch and timer, notes, camera, and internet access. All these things personally managed to suit the users workflows. Future/emerging uses: Film recorder, Video conferencing, GPS locator, integrated email and calendar (integrated with your school/organisation). Attendance records, and countless teaching enhancement features through third party apps. I anticipate a future classroom where the teacher brings not just her laptop, but also a projector. Brookstone develop a pocket projector for iPhone 4 devices. The projection can display up to a 50" image, it also has a 0.5W speaker and even provides a built in battery. With many senior school teachers constantly changing classrooms, bringing your own reliable projector makes sense. I also thought it would be worth mentioning the Magnifi by Arcturuslabs.com. Last term I worked with my lab technicians in the science department on a solution where they could record the micro-organisms through their microscope. We found a fairly expensive solution but just a few months later I was excited to discover the Magnifi. The Magnifi attaches to your iPhone and connect to any eyepiece (like a microscope for example). The lens magnifies and focuses the image and the iPhone does all of the recording. Ready for sharing or projecting straight to your projector! Despite best efforts by schools to provide an enclosed portal and centralise learning to a single collaboration space, many teachers still seem to prefer the flexibility of services like Edmodo or Moodle (even Facebook). Local server rooms are experiencing a shift in load as staff and students abandon local network storage for more flexible spaces like Dropbox, Microsoft Skydrive, or Google Drive. Students may have been doing it for years, but recently I witnessed a teacher connect to her 3G USB stick in order to circumnavigate the school internet proxy. The initial reason she chose to do this was because the resources she needed (in this case a Vimeo video) was being blocked/censored by the education service provider. The teacher in question receives such fast and reliable connection with her 3G attachment that it is now used almost exclusively for her internet access. "Imagine, in 5-7 years having gone from the complexity of laying ethernet in fixed locations in schools, building broadband, deploying servers and switches all over the school to the simplicity handing out an iPad and a SIM card and getting on with the learning." Tethering mobile phones to non 3G iPads or Laptops is common place now. But some providers still block this feature. For iPhone/iPad tethering assistance see here. Im waiting for one of these to appear in the classroom! Why stop at bringing your own gadgets into school? Many teachers expand their own knowledge by developing a Personal Learning Network. Through these online networks inspiration and ideas for your class are never far away. For advice on expanding your PLN take a look at my advice here. It's good to see teachers taking charge of their own classrooms and resources which are available to them. The above ideas are simply used to better engage students, but I do question how much a teacher should stray from the services the school provides. Is student/teacher data safe on external servers stored who knows where? Should a teacher engage a student in a social space which is not endorsed or monitored by your school? Is restricted internet access necessary for the wellbeing of our students? Progress in schools is notoriously slow, often pushed through by lovers of change and innovators. I say lets go for it! With the emergence of technology in just about every aspect of our lives; progress, enhancement and opportunity for improvement has never been so prevalent. It can be frustrating, and as a teacher it seems that you are expected to be on top of the latest trends which can enhance or improve your classrooms. As a teacher you are expected to know which social networks your students frequent, which web 2.0 technologies can promote effective learning and which hardware and gadgets are fashionable. Through lack of time (and sometimes just lack of interest) it is hard to keep up. It is at times like these you can call upon your PLN. At my school I am able to comment on and introduce my colleagues to the latest teaching trends and strategies from around the world. I take great pleasure at being able to demonstrate new Apps, talk about the Gonski report and discuss why Australian student performance has declined over the past decade. Maintaining a handle on developments in your sector doesn't have to be hard or time consuming. I am going to share how I manage to be updated with news, trends and job opportunities all filtered to meet my requirements. My PLN keeps me informed of ways in which technology can improve education. Years ago my journey began by visiting informative websites or blogs (web-logs) by prominent educators such as Ken Robinson and Stephen Heppell. Their findings and opinion are of course very interesting. Quite often their articles opened up all sorts of debate in the comments section. With so many educators sharing their first hand experiences, it is easy to form your own opinion and adopt strategies for your own classroom. But to keep ahead, you need to keep reading. Fortunately though you don't need to be a regular visitor to blogs because of a handy piece of tech wizardry called RSS feeds. RSS feeds enable you to subscribe to a blog. As soon as the author publishes their article, you are notified immediately on your computer or mobile device. RSS feeds are a very powerful communication tool, news agencies also use them to publish breaking news and up to the minute reports of sporting or political events. There are a few different methods to capture your RSS feeds. An email â€œclientâ€ is a program which you open when you want to view your email inbox locally on your computer. Popular clients include Microsoft Outlook and Apple Mail. Both of these clients can be setup to capture new RSS articles from your favourite web sites. I currently subscribe to 4 very important RSS feeds in my inbox, ensuring that I stay ahead in technology education developments. If you are a Google Chrome user (or have a Google account) then subscribe with the Google Reader. Google Reader can be accessed from a multitude of mobile Apps meaning that if you are an Android, iOS or Windows Mobile user you can install an Application to handle all of your news. I follow dozens of writers and communities, and hundreds of Twitter users who have put me onto amazing resources. Below are my favourites. To get you started I recommend you "follow" these sites in which ever way you can. Emergingedtech.com - Engaging students and enhancing learning outcomes. This community of teachers may be all you need to stay on top of education and technology. Edutopia.org - Contains practical classroom strategies and tips from real educators. blog.iste.org - The International Society for Technology in Education. mindshift.kqed.org - Mindshift explores the future of learning. tips2012.edublogs.org - Dr Jenny Lane is an experienced teacher. Jenny is currently researching the iPad and its role in education. Her blog evaluates Apps which enhance teaching across all learning areas. At the beginning of this year I met Dr Jenny Lane at a conference in Sydney. It is an example of how your PLN can materialise into very important professional relationships and friendships. iSupportlearning.net - Anyone can blog! I publish my own findings surrounding education and technology here. I also create free guides assisting teachers to adopt new technology. You can see how I have tried to make it easy for readers to stay connected with me. In less than 1 year I have over 300 subscribers to my RSS feed.
. A good analogy for new Twitter users is to imagine that you are walking through a busy room of your favourite writers, reporters and professional pundits, but instead of them talking directly to you, you are eaves dropping on their conversations. Getting started with Twitter may seem daunting at first but I cannot encourage you enough to take that leap into the "Twittersphere". You will need your own Twitter account. By all means create an alias if you would prefer, but most individuals have nothing to hide and are happy to represent themselves. Lastly you just have to start following individuals that you have a common interest in. Start by looking in the Education category. Twitter is a Short Message Service meaning that each tweet can only contain 140 characters. For most users a tweet is a way of marketing a new idea. So the tweet will contain a link to a webpage containing the full story. Good ideas, interesting news or sometimes just funny one liners can be re-tweeted. If you pick your Twitter friends carefully, you can create a network of invaluable inspiration, all at a moments notice from your phone or computer. Twitter users love picking up new followers. To create an interesting feed, (or room of interesting people) you are going to need to follow dozens of users. To get started, I encourage you to follow as many people in your field of interest as possible. As you discover friends of friends, conversation, statements and opinion start to flow. It is easy to un-follow someone if they seem intent on sharing every dull moment of their lives with you. If you would prefer you do not have to Tweet a single message. There is nothing wrong with using your Twitter account as a source of one way information. You may just want to follow 2 or 3 news agencies, family members, or even students. Linked-In has found itself a good niche, not only as a tool for networking, but also as an outlet for relevant news from industry experts and peers that interest you. You can use the service as a place to find past and present colleagues and classmates. As you begin to establish new connections the site makes a profile on you based on your friends and colleagues and their current work placements. This makes for a really interesting and easy way for you to expand your own career. The potential for discovering new employees and teachers for your school is huge. I would certainly recommend that your careers department investigate LinkedIn. As a Principal, or Bursar use this opportunity to cement a solid leadership network in order to drive change and improve your sector. As a Careers and Enterprise teacher, suggest that your current school leavers engage this professional network. I have always thought of Facebook as Twitters big brother. 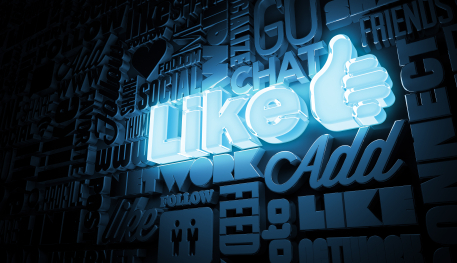 I am often asked "Does my company need a Facebook page? " I answer an uncommitted, "Probably". The question does highlight the point that Facebook is meant to be an individual and personal space. With a focus on personal pictures and personal opinion. When I attend or talk at a Professional Development day, I am always there in my professional capacity. Facebook isn't the first choice for the type of Personal Learning Network we are building. Especially for education professionals where the boundaries between students and teaching colleagues must be maintained. Having said that, it is easy to incorporate all of your personal and professional networks together. Maintaining all your networks and consuming it in bite-size pieces. I have presented 4 technologies which can act as vehicles for acquiring knowledge and inspiration. But if you have made it this far you may be starting to feel a little overwhelmed at the potential of information waiting for you. But don't worry, once you have set-up your Twitter account, chosen your favourite RSS feeds and reconnected with old colleagues through LinkedIn, you can bring it all together using one of two applications called FlipBoard or Zite, available on your iOS or Android device. These amazing apps combine your Google Reader RSS feeds, Twitter, Facebook and LinkedIn accounts and present them in a very cool digital magazine. The interface is awesome grabbing pictures and charts, categorising sections and highlighting popular and breaking stories. The magazine also analyses your Google Reader RSS feeds, works out what you like and delivers similar content from sources you have yet to discover. The key here is to fine tune your content to avoid procrastination. Sorting and filtering information from the Internet might take a few days or weeks to get right, but when you consider that all of the information is free, including the Apps to help you curate, there really is no excuse to not get started. I have no doubt that newspapers will become obsolete as we approach the next decade. It makes no sense for me to purchase so much paper and ink when I probably only consume 20% of the text. This really strikes me as a waste on the Earths resources and yet another example of how the digital age should be embraced for mutual progress. Get ahead of things now, utilise those share buttons and don't be afraid of Twitter, embrace the Google services and get connected. iSupport Learning will be running 3 (free to attend) PD sessions this term. Notebooks for Teachers - Apple Macbook PD I am looking forward to sharing some practical tips and lesson ideas with you regarding the Apple Macbook and in particular iLife. I will focus on the basics, ensuring that you have a solid understanding of how OS X can assist in your working day and your classroom teaching. iPad in Education iPad basics: On/off, through to Multitasking Gestures. Vital accessibility options, general configuration and backing-up. Apps to enhance your teaching, apps for consuming and creating content. Whiteboard apps and external displays and effective workflows which will bring it all together. The App Store; your Apple ID and iCloud. Electronic texts and books. Please share this fantastic opportunity with your teaching colleagues.